It seems like only yesterday when the last Subaru WRX STI was sold in the UK amid an outcry of sentiment on the sad loss of this iconic model. 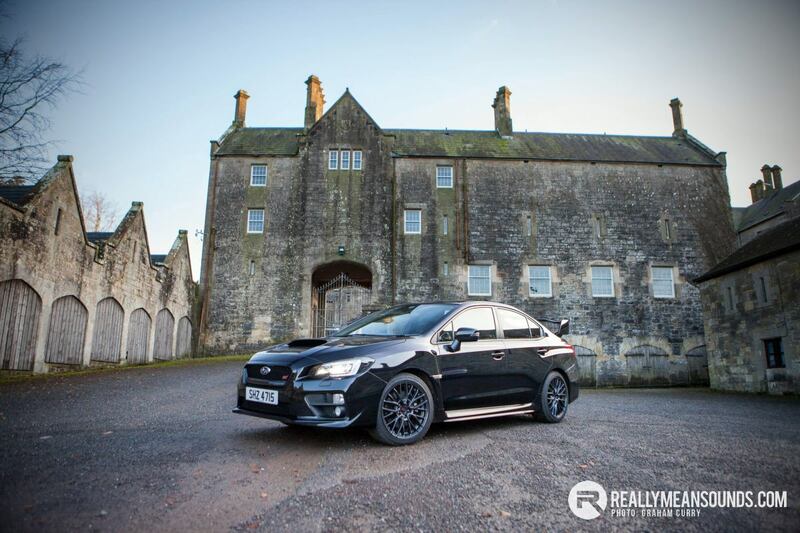 Well last year that all changed with the launch at the start of the summer of the latest WRX STi model (dropping the Impreza monkier) and at the end of last year Gormley Motors in Dungannon gave us the chance to drive one to see what we thought. For myself as a huge Subaru fan, I have driven all WRX STi’s from the first one produced and must admit the thought of there never being another was somewhat of a blunt end to every boys dream car, so it was great to get to grips with the latest model on a dry winters afternoon. During development, Subaru honed the driveability of the new WRX STI to perfection, testing it under a wide variety of conditions around the world. As with past generations of the model, extensive testing also took place on Germany’s Nürburgring circuit to ensure the WRX STI is the pinnacle of Subaru AWD sports performance. An increase in wheelbase of 25mm gives the new Subaru WRX STI greater rear leg room. As well as more shoulder and elbow room inside the cabin, without increasing the exterior dimensions. By moving the bottom of the A-pillars forward by 200mm and adding a quarter light to the front window, drivers have better visibility all round. 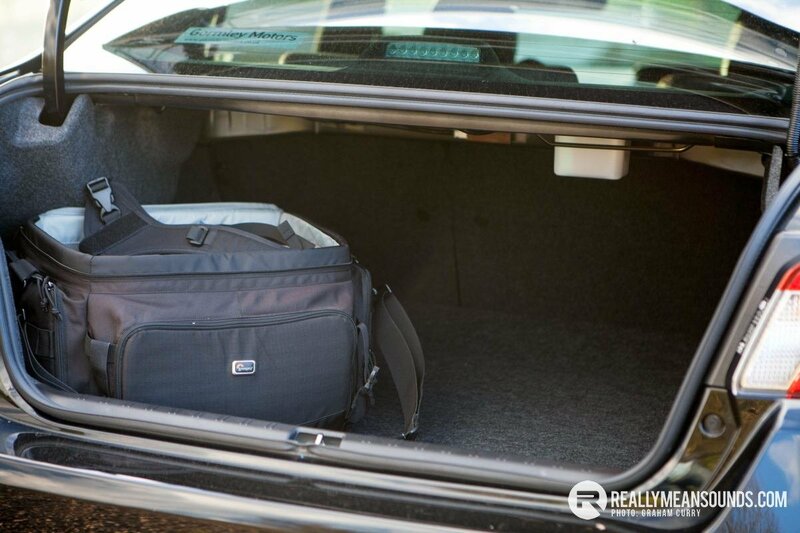 Boot space is increased and ingress and egress are improved with larger door apertures. 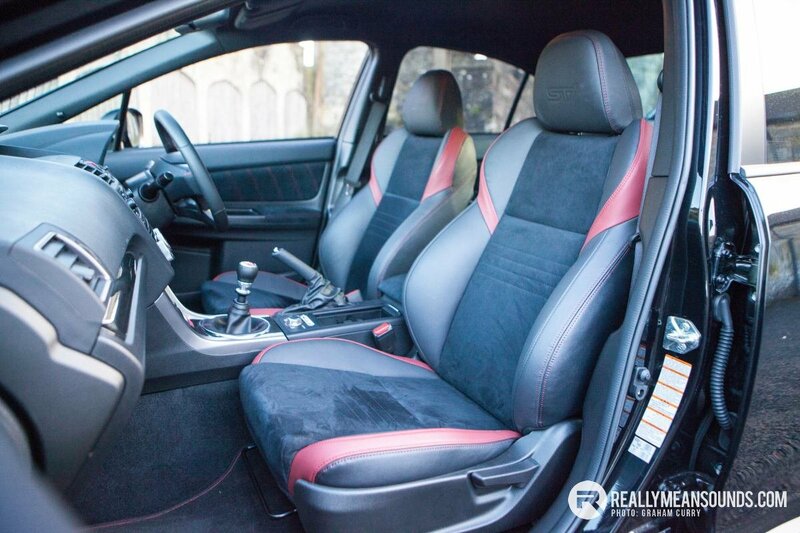 A lot of work has also gone into improving the perceived quality of the Subaru WRX STI interior. For the new model, highlights include a new D-shaped steering wheel of smaller diameter and designed to give the driver maximum feel. Soft touch materials are used in key areas while new dials and carbon effect and metal trim are also employed. This gives the STI both a suitably sporty feel and more upmarket ambience. 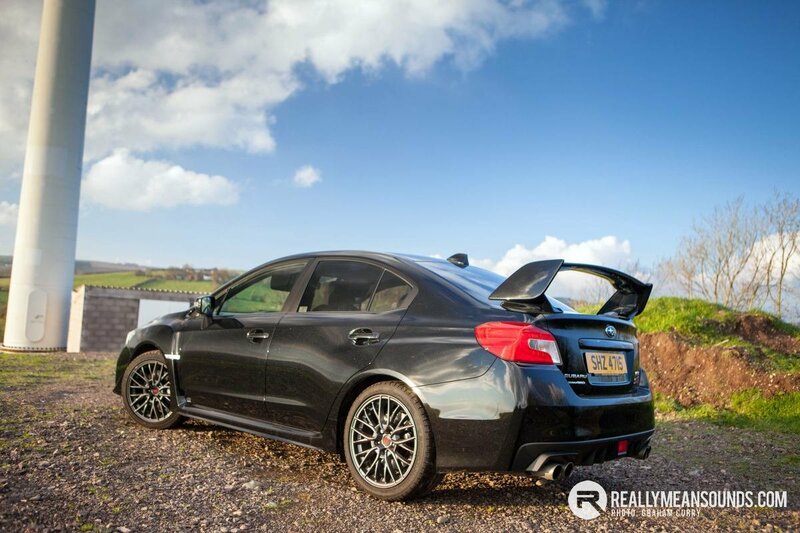 Is the Subaru WRX Well Equipped? Equipment wise the Subaru WRX STi has a plethora of features to highlight what the car is about which include the rear spoiler and bonnet vent. OK they stand out like a streaker on sports day along with the quad exit exhausts poking from the rear bumper diffuser, but it most certainly mean business. Behind the 18inch wheels are a set of 17inch brake discs which let’s face it, most new cars these days don’t even have alloys that are 17inch so they are more than capable. Inside the cabin is clad with Leather and Alcantara with coloured stitching and flashes of colour on the seats, I must say it has a good quality feel when in the driving position and looks very up to date which is welcomed, the seats were firm and expectedly unbelievably supportive thus encouraging you into an aggressive drive as you know fine well that your bum nor upper body are sliding anywhere. 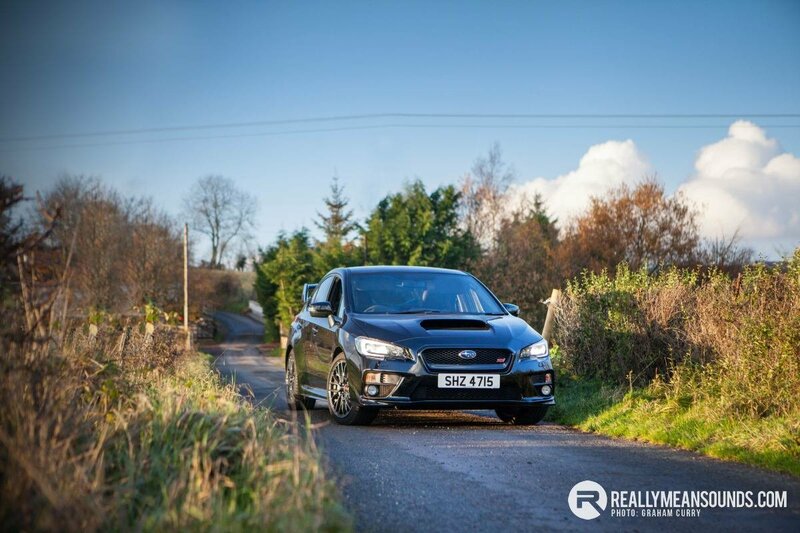 The Subaru WRX STi is as happy being a family steed as it is ripping up the back roads or race tracks as it comes with a great six speaker audio system with mp3 device input and Bluetooth connectivity, ISOFIX child seat anchors, rear door child locks and for added safety whiplash reducing seats and hill start assist. With such a good spec as standard there are limited options with Leather seats and Sat-Nav being the main. The boot is a very healthy 460litres which compared to rivals is comfortably between the Golf R and the Octavia vRS so in laymans terms a decent size that’s able to cope with golf clubs or a week’s luggage for a family or indeed a buggy. The rear seats split and fold for a larger loading space should it be required. Great that they are still making them, pity its so far removed that they cannot call it an Impreza any more though. Best looking impreza to date! | Great that they are still making them, pity its so far removed that they cannot call it an Impreza any more though. | Best looking impreza to date! Should have gone to spec savers! Great write up, they do look great in person! | Great write up, they do look great in person! Have to say, the last two generations of WRX STI have both been fantastic, not only in looks, but how they go and feel on the road.